China has requested that India remove delegates from Arunachal Pradesh for an annual youth exchange. The territorial dispute between India and China over Arunachal Pradesh (known as South Tibet in China) reemerged over the weekend. Beijing has requested that New Delhi refrain from including any residents of Arunachal Pradesh in its delegation to the annual India-China youth exchange. As a result, India’s Youth Affairs Ministry is now pulling to cancel the entire exchange in protest of the Chinese request. The Indian Ministry of External Affairs has yet to respond. However, it did withdraw the political clearance granted to the Minister and Secretary of Youth Affairs to lead the delegation to China to avoid causing a bilateral row given that India is currently undergoing elections, according to The Indian Express’ sources. “I think that is very serious. I find it disturbing and absolutely absurd. How can China dictate whom we can include in our delegation and from where? That’s for us to decide. I have taken it up with the External Affairs Minister and asked that the delegation not be allowed to go if China insists on this condition,” Singh added. China regularly protests what it sees as India’s “illegal occupation” of Arunachal Pradesh. In December, it protested Indian President Pranab Mukherjee’s visit to the region. In October 2013, a diplomatic row erupted between India and China when the latter issued stapled visas to two Indian athletes from the northeastern region. For China, over 90 percent of the territory of Arunachal Pradesh is an inextricable part of Tibet’s Monyul, Loyul and Lower Tsayul regions. China has attempted to expand its influence in India’s northeast through infrastructure projects on its side of the disputed border. In November 2013, China completed a highway in the Medog region of Tibet, just north of the McMahon Line that forms the disputed border between India and China. While India’s infrastructure commitments in the northeast have been limited, it recently connected the region to India’s railway network, increasing connectivity with the rest of India. 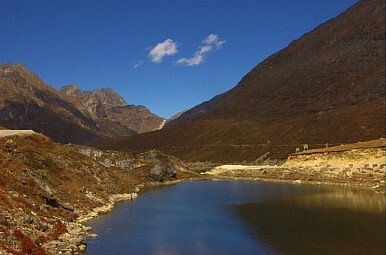 Arunachal Pradesh used to be known as the North-East Frontier Agency (NEFA) and was established in 1955. Some of the most perilous skirmishes of the Sino-Indo War of 1962 took place along the northeastern border where India suffered catastrophic losses. Today, Arunachal Pradesh is inhabited by 1.3 million people.